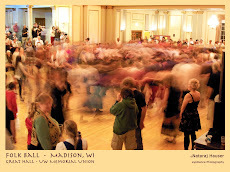 Reena and I drove from Madison to Green Bay, WI, this weekend to celebrate the marriage of my nephew. He actually got married a month ago, in California, but since he grew up in Wisconsin, and his parents still live here, there was a second reception for the couple. Along the way, we decided to stop at Horicon Marsh and check out the goose migration action. 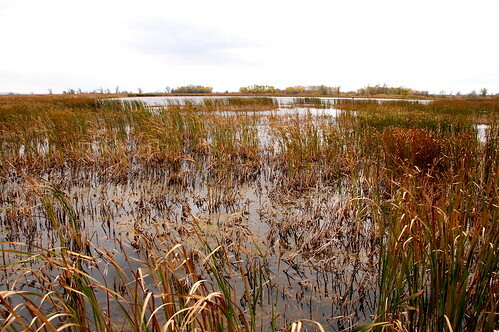 It was cold and windy, and not at all a pleasant fall day for hiking around a marsh. 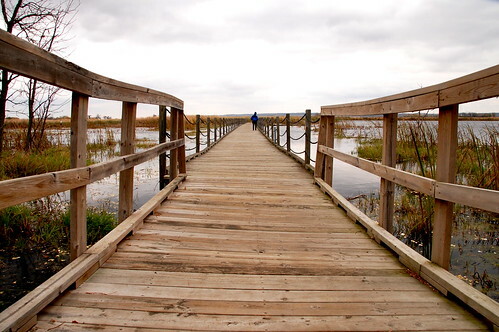 We found the boardwalk trail and walked on it out into the marsh. While there were geese to be seen, it was not the sort of big honk-in that we were hoping for. 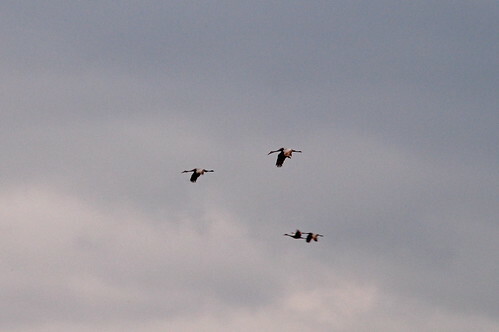 What we did see was a flock of a dozen or more sandhill cranes flying by. They make such an odd sound that it was easy to hear them coming. In a fit of stupidity, I neglected to turn on the optical stabilization feature of my new lens (post to come!). I was at full zoom, 200 mm, and this is still a crop. That OS would surely have helped me get a sharper image. OK, maybe next time.